Detroit fell victim not to one malign actor but to a whole cast of them. For more than two decades, the insensate auto companies and their union partners and the elected officials who served at their pleasure continued to gun their engines while foreign competitors siphoned away their market share. When this played out against the city’s legacy of white racism and the corrosive two-decade rule of a black politician who cared more about retribution than about resurrection, you can begin to see why Detroit careened off the road. Okrent identifies the problems consistent with the Bootleggers and Baptists theory in political decisions. While policies may seem benign, they are often backed by special interests who have their own benefit in mind at the expense of the general population. This phenomenon is particularly visible in the city’s zoning and land use regulation, which many blame for the common pattern of inner city decline. In Detroit, this was witnessed as low-density, relatively expensive housing in the suburbs, with higher density housing and a shrinking population of generally lower-income residents left in the city center. Because the city has now been losing population for decades, the housing stock is greater than necessary, and some occupied houses are surrounded by abandoned ones. As suggested in Flint, a city with a similar problem with vacant homes, some people propose that Detroit should use its eminent domain power to buy out neighborhoods that include vacant houses and turn them into green space. While this program might sound like it would benefit the city as a whole, zoning’s controversial history should caution Detroit residents against supporting a policy that will necessarily benefit some residents at the expense of others. Across the country’s urbanities, we have seen that zoning is subject to abuse by policy makers and wealthy or well-connected citizens, making it difficult or impossible for the land use market to serve others fairly. Rather than looking to the political process to improve Detroit’s neighborhoods, residents should acknowledge the myriad opportunities that the city’s relatively cheap housing, capital, and unemployed labor offer to future investors. In Flint, home buyers have already purchased low-priced historic homes for renovation. Detroit is full of opportunities for entrepreneurs, provided its history of corrupt politics comes to an end. 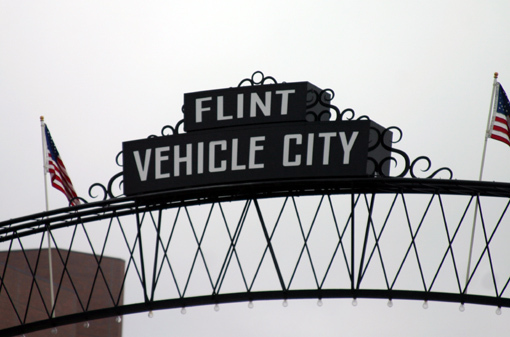 This entry was posted in City Life and tagged Daniel Okrent, Flint, labor, union on October 8, 2009 by Emily Washington. Is Smart Growth the Way to Better Cities? Anthony Flint of the Lincoln Institute of Land Policy wrote a Boston Globe op-ed explaining that cities are well placed to become increasingly important centers of population and commerce. This is due in part to the ongoing pattern of national urbanization and in part to the Obama administration’s emphasis on the importance of cities and sustainable development. Smart growth, a policy championed by some people within the environmentalist and urbanist movements, advocates goals such as improving public transportation, protecting the environment, creating affordable housing, and supporting economic development. These goals are hard to find fault with, but the question remains whether federal policy is an appropriate place to be promoting a specific type of urban development. Flint cites Jane Jacobs as an important thinker in shaping the contemporary ideal of urban living with vibrant mixed-use development that invites pedestrian use. While this sort of development fits in with some “smart growth” objectives, Jacobs emphasized that land use needed to be determined using local knowledge rather than top down mandates. She fought these mandates at the municipal level, and one can only imagine how she would react to development direction from the newly created Office of Urban Affairs. This entry was posted in Federalism, Transit and Transportation and tagged Boston Globe, community, Discovering Urbanism, economic development, Flint, growth, Jane Jacobs, New Deal, public transit, spending on August 26, 2009 by Emily Washington. Read the whole thing here. Young blogs at flintexpats.com. This entry was posted in Uncategorized and tagged Bob Nelson, economy, Flint, make, Paris, San Franciscan Gordon Young, San Francisco on June 19, 2009 by Daniel M. Rothschild. Under Kelo, a government is free to take your home or business and give it to anyone who might create more jobs or pay more taxes with your land than you do. HJR 14 fixes Kelo in Texas by making it clear that “public use” means a use of the property by the government, the condemning authority or the public at large. This action to strengthen the rights of Texas property owners contrasts with movements in some U.S. cities, including Cleveland and Flint, which are considering planned shrinkage as a way of dealing with mortgage foreclosures. City planning authorities in these cities tout the benefits of confining development to a more compact area because it would allow public services and infrastructure to be provided at lower cost. However, this policy comes with negative incentives for property owners which these planners are ignoring. If a locality’s residents begin to fear that their government, rather than protecting their property, may seize it to put it to use for the “public benefit” (which poses a much lower burden than “public use”), private investment, not to mention faith in good governance, will decline. If it passes, HJR 14 will allow policy makers (and policy researchers) to gather evidence across municipalities as to the costs and benefits of using eminent domain for public benefit takings, as some cities outside of Texas begin to employ this policy measure more heavily. This entry was posted in State Policy and tagged Flint, HJR, House Joint Resolution, New London, State Senate, Supreme Court, Texas on May 19, 2009 by Emily Washington.